Are you Jewish and your partner is not or vice versa? Are you having difficulty finding a rabbi who will officiate at your wedding? Are you looking for an open minded personable rabbi who will bring the richness of Jewish tradition to your wedding ceremony while respecting your desires? Are you tired of hearing “No” from rabbis, or “Yes, but” with numerous conditions? Do you want to have your Jewish or interfaith wedding on a Friday night or on Saturday? Do you want to have a minister/priest co-officiate? Would you like to make your own decisions about how to raise your children, without your interfaith wedding minister/officiant dictating to you how s/he thinks you should? Would you like your family and friends to tell you that your ceremony was one of the most beautiful ones they ever witnessed? If you answered yes to any of the above questions, you have come to the right place! I am Rabbi David S. Gruber, your very own interfaith wedding rabbi. I will gladly officiate at your Jewish, interfaith or non-traditional wedding ceremony, no ifs, buts or maybes! I will happily co-officiate with non-Jewish clergy, officiate on Friday night or on Saturday, and I will leave child rearing decisions to you. 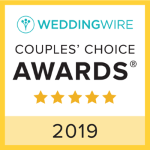 Located in Dallas, Texas, I will travel anywhere you need me to go (in the U.S. or abroad) to officiate at your interfaith wedding, and help make your special day truly wonderful. 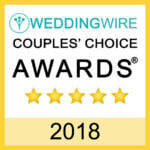 I have officiated over 400 weddings, since 2008, in or for couples from Alabama, Arizona, Arkansas, California, Colorado, Delaware, the District of Columbia, Florida, Georgia, Hawaii, Illinois, Indiana, Louisiana, Maryland, Massachusetts, Michigan, Minnesota, Mississippi, Montana, Nebraska, Nevada, New Jersey, New Mexico, New York, North Carolina, Ohio, Oklahoma, Pennsylvania, Puerto Rico, Rhode Island, South Carolina, Tennessee, Texas, Utah, Virginia, West Virginia and Wisconsin, as well as Australia, Bolivia, Canada, Chile, China, Colombia, Costa Rica, Ecuador, El Salvador, Germany, Israel, Italy, Mexico, Nigeria, Panama, Saint Martin, South Africa, Spain, Thailand, Turkey, the United Kingdom and the Virgin Islands.